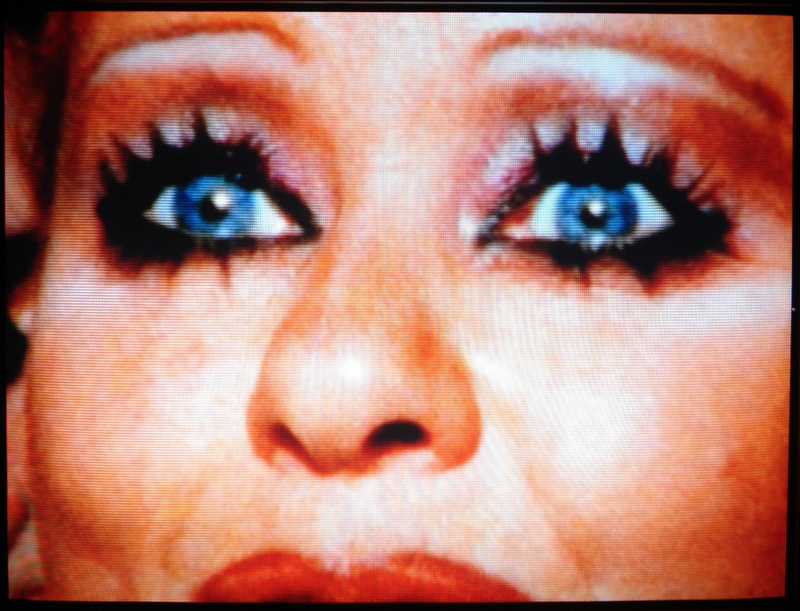 In Fenton Bailey and Randy Barbato’s beguiling and respectful documentary, it’s not the eyes of Tammy Faye that strike you; it’s the “I” of Tammy Faye. Both the I and the why come into compelling play in “The Eyes of Tammy Faye,” as the filmmakers make a swift but satisfying sweep of her living soap opera, rooting out soft answers (she just is) to hard questions (why is she so…Tammy?). But if it knowingly coddles its subject, the movie doesn’t stint on cold facts. Its sobriety is filtered through the adoring scrim of camp. The movie wants to be as fun as it is informative — luxuriating in the cheese while telling a true story of ruptured pieties — and there it succeeds. “Eyes'” most indulgent moments supply spurts of comic relief. When RuPaul poses the question, “What ever happened to Tammy Faye?” — an allusion to “What Ever Happened to Baby Jane?,” in which Bette Davis scowls through a fright-mask of cosmetic overkill — and when sock puppets coo chapter titles, we are being winked at and accorded permission to giggle. Permission, frankly, is not necessary. The high drama of Jim and Tammy Faye Bakker’s rise and fall is mottled with so many ironies and eye-popping instances of bad taste that laughing is the only reasonable response. (To despair for the Bakkers depicted here would be a reflex of compunction, not logic.) Make no mistake: The filmmakers included the scene of our heroine lip-synching Christ’s praises, in the desert, atop a camel, for a chuckle. Tammy Faye is shown doing many things that would kill any normal self-conscious person with mortification. But she deflects ridicule with chirpy obliviousness. In this way, she’s a smart cookie. She comes across as a sport, a beaming and forthcoming survivor who takes refuge in the belief that she’s more brie than Velveeta.